I hope you are here to see a stunning card! 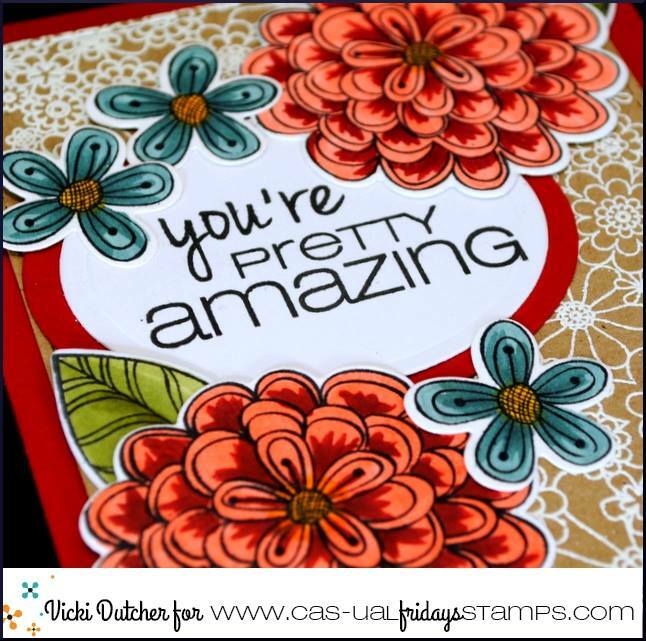 Vicki combined her stamping and coloring skills to create one dynamite card! Ok, let's break this beauty down! 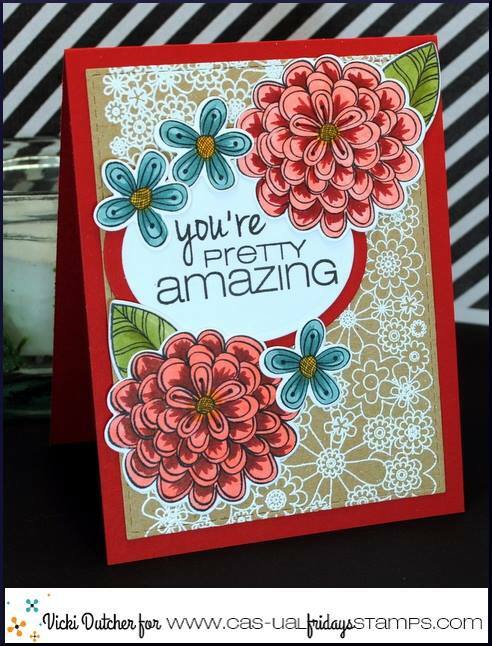 She stamped our Full On Floral background in white on kraft...one of my favorite color combos! Next she stamped and cut Pretty Posies on Posies Fri-Dies and scattered them around her Truth Is Sentiment. Look how pretty her coloring and shading is on this! Vicki has a savings code for you on her blog!! Give her a visit to get details on this gorgeous card and find her code you can use to save on your next purchase! Sure is pretty and amazing, thanks for sharing! I love that white and kraft background.. it looks like lace for these pretty flowers!